Did you know that skin cancer is the most common form of cancer in America? More than 1,500 people a day die from skin cancer; only heart disease causes more deaths . What's more interesting to note is that this type of cancer can be prevented by taking proper precautions and avoiding intense sunlight for prolonged periods of time. According to the National Cancer Institute, only 58% of adults take measures to protect themselves from the sun . One of the tools that is available to help you with preventing this deadly disease is the UV Index. The UV Index is currently being monitored and forecasted by the National Weather Service and the Environmental Protection Agency. This index provides an indication of the level of risk or intensity of ultra-violet radiation on a scale of 1 (low) to 11+ (extremely high). The EPA's SunWise Program  gives citizens a daily forecast of the UV index for any area in the United States. You can use this information to help plan your daily adventures in the great outdoors. 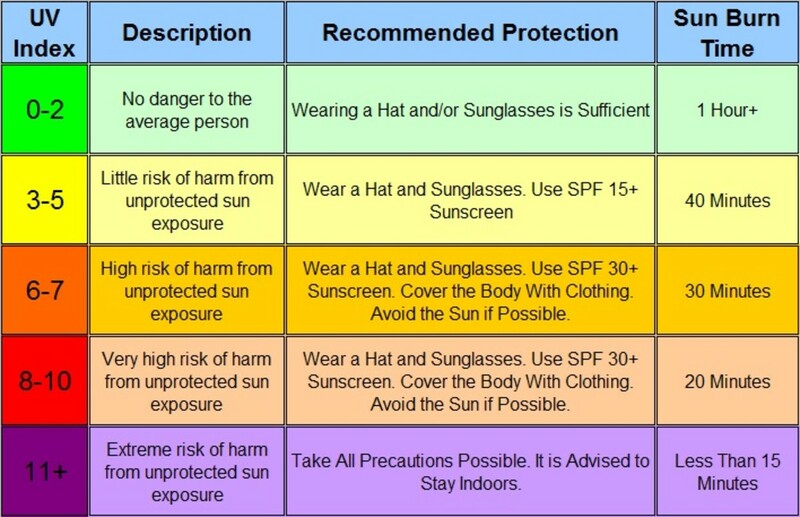 The following table describes what the various levels of the UV Index mean. You can view the UV Index for any location in the United States by going to the SunWise Program's website (see reference  below). The EPA has also developed several aps, gadgets, and widgets to make this valuable information more easily accessible. In early 1992, satellite and aircraft measurements discovered high levels of chlorine gas in the atmosphere above the arctic. 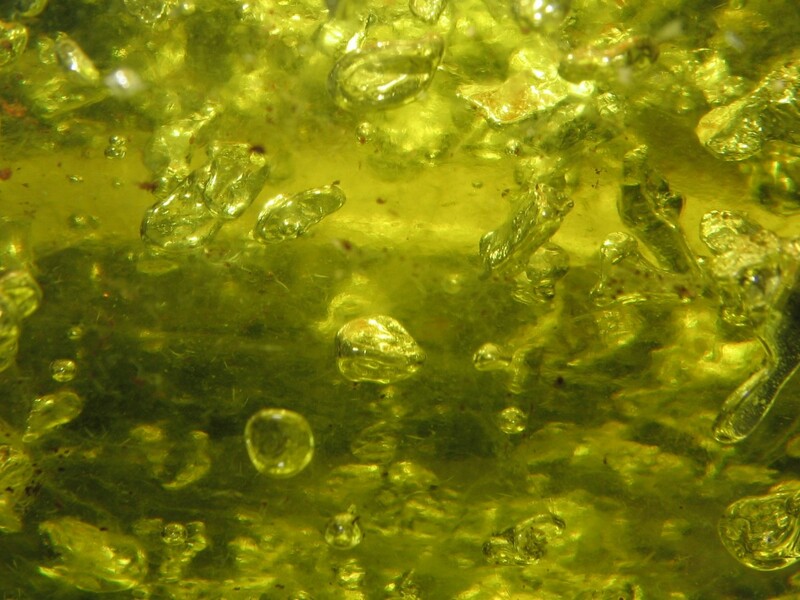 This detection of the chlorine gas gave a strong indication to scientists that we would soon be experiencing large reductions in the amount of ozone in the atmosphere. Canada initiated two public information programs soon after to inform residents of the risks of UV radiation exposure. One of the programs was called the UV Index Advisory Program. This program attempted to predict or forecast the intensity of the UV radiation for the next day . In 1994, the United States initiated its own UV Index program. This program was similar to Canada's and used the same numbering scheme. Today, the UV Index is a globally standardized program thanks to the World Health Organization (WHO). WHO implemented standard colors and graphics to supplement the numbering scheme as well. The intensity of the UV radiation that reaches Earth's surface depends on how high the sun is in the sky. The most intense part of the day will depend on your physical location as well as the season. 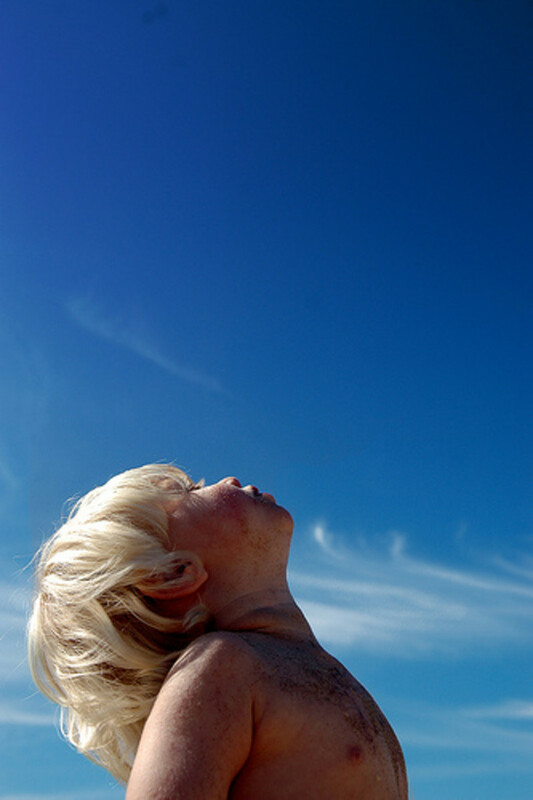 Sunburns and overexposure can occur even when the sun is blocked by clouds. Don't assume that you are protected if you can't see the sun. 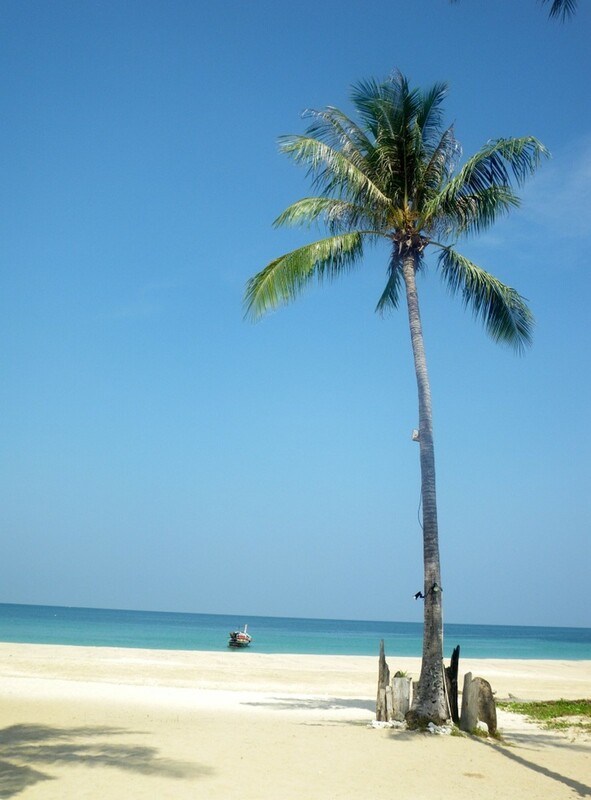 Consider making the application of sunscreen a part of your daily routine especially if you are frequently outdoors. When outside, apply SPF 30+ water resistant sunscreen at least every 2 hours. Sunscreen should not be used to lengthen the duration of your outdoor adventure. Statistically, experiencing five or more sunburns will result in double the risk of developing skin cancer. Skin cancer is a big deal for me, knowing people who have died from it and people who have it. Its a bigger concern than most people realize. Thank you for writing this hub. Know the prevention, reduce the risk!